Real estate on the Cap d'Antibes is some of the most valuable and sought after in the World. The Cap D'Antibes is a large headland reaching into the sea from Antibes. It was originally a pine forest and it is still a mix of lush vegetation and dramatic coastline with quiet wooded areas. Some of the most iconic and palatial luxury real estate and property for sale on the Cap D'Antibes was built in the late nineteenth century when wealthy industrialists and aristocrats most notably from England and Russia began to build substantial luxury homes here. The Cap d'Antibes became a fashionable real estate sector for celebrities in the inter-war years with many stars of American entertainment enjoying the lively Jazz scene in nearby Juan Les Pins on the West side of the Cap, whilst the the old town of Antibes at its Eastern base has been a draw for artists such as Picasso who found the natural light a superb inspiration. In recent years more contemporary properties have been added, and some of the older properties have had substantial renovations with modern facilities and upgraded technologies so the choices are varied. It remains one of the most exclusive neighbourhoods on the Cote d'Azur. 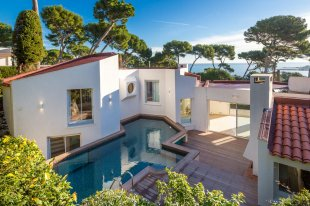 The mix of wild secluded coastline, beautiful villas and glamour ensures that luxury homes for sale on the Cap D'Antibes offer a distinct lifestyle, popular as second homes and also valuable on the rental market. 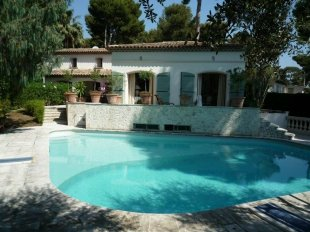 Yacht & Villa's specialist Cap D'Antibes property consultants spend almost every day here and knows every road, boulevard and villa for sale on the Cap d'Antibes, as well as many "off market" properties, villas for sale and deals that are not advertised. 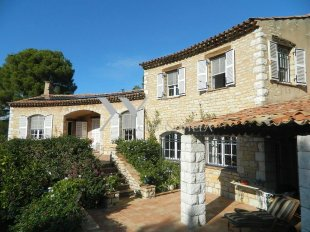 Let Yacht & Villa guide your through the real estate market on the Cap D'Antibes. 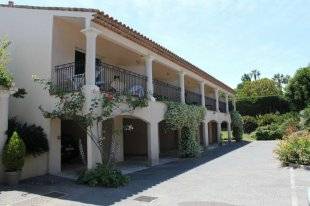 Our Luxury Villa Rentals Department also offers a superb selection of Cap d'Antibes Villa Rentals.